Bright light gold color. Fruity aromas and flavors of poached apple, hint of pepper, and caramel with a supple, tangy, petillant, off-dry light-to-medium body and a smooth, engaging, medium-length finish that presents overtones of citrus and melon with fine, chewy, fruit tannins and no oak flavor. A snappy, fruity apple wine that will be versatile. Bottom Line: A snappy, fruity apple wine that will be versatile. 89 • Anthony Lee’s NV Raspberry Wine, Maine 13% (USA) $14.00. 84 • Anthony Lee’s NV Apple Wine, Maine 13% (USA) $12.00. 87 • Anthony Lee’s NV Blueberry Wine, Maine 13% (USA) $12.00. 86 • Anthony Lee’s NV "Black-N-Blue" Blackberry & Blueberry Wine, Maine 13% (USA) $13.00. 91 • Anthony Lee’s NV Raspberry Wine, Maine 13% (USA) $14.00. 90 • Anthony Lee’s NV Apple Wine, Maine 13% (USA) $13.00. 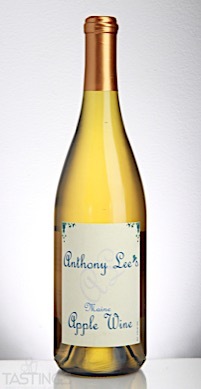 83 • Anthony Lee’s NV Pear Wine, Maine 13% (USA) $13.00. 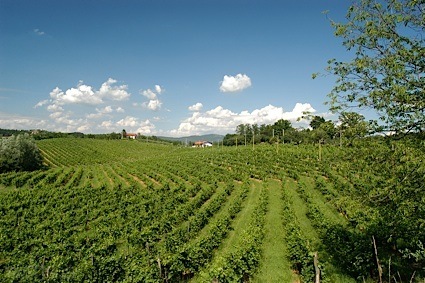 Fruit wines, produced in many countries, are fermented alcoholic beverages made from fruit or even herbs and flowers. There are dozens of types of fruit wines, ranging from apple, strawberry and peach to elderberry, rhubarb and dandelion. May of these are quite sweet, although some, such as pineapple, are rather dry. As many of these fruits are very high in acidity and would produce a wine that would be too acidic for most tastes, water is often added during the production process to create a less tart sensation. Alcoholic contents range from 10% to 16% or so. Fruit wines are made for immediate pleasure, generally enjoyed on their own at a picnic or backyard barbecue. Anthony Lee’s NV Apple Wine, Maine rating was calculated by tastings.com to be 90 points out of 100 on 9/26/2017. Please note that MSRP may have changed since the date of our review.